Robin Thicke has quite possibly out-Thicked himself. 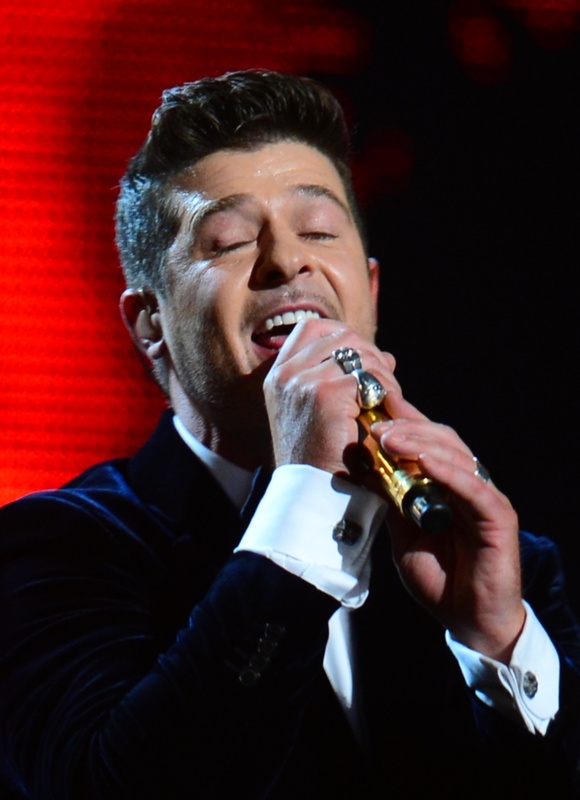 In his "Blurred Lines" trial, fighting to prove that the song is not, in fact, a plagiarism of Marvin Gaye's "Got To Give It Up," Robin Thicke played a piano medley as part of his testimony to show that a number of songs can sound similar without being infringements on copyrights. Reportedly, the singer sat on the witness stand and on a keyboard played and sang, U2's "With Our Without You," The Beatles' "Let It Be," Alphaville's "Forever Young," Bob Marley's "No Woman No Cry" and Michael Jackson's "Man In The Mirror" to show that many popular songs use the same chords. As bizarre a motion as this musical testimony may seem, doesn't Thicke prove with it an ultimate truth about art — that everything is a copy of a copy? We shouldn't forgive and forget Thicke for his definitely misogynistic "Blurred Lines," but perhaps we can admit that the "borrowing" or "getting inspiration from" or whatever he's calling it from Marvin Gaye's song wasn't that big of a deal. To be clear, I despise Robin Thicke and wish he would descend back into the slime from whence he came, but my feelings about this trial are lukewarm. As Pablo Picasso once said, "Good artists copy. Great artists steal." Not that Thicke is what I would call a good or great artist, but mustn't we all grudgingly admit that he has a point? Gaye's family claims that Thicke not only copied "Got To Give It Up" but melodies and chords from another track, "After the Dance." Though it seems absurd at first, playing a medley on the witness stand might have been the best testimony Thicke could have provided. When questioned later, he again brought up the alcohol and Vicodin addictions that he admitted to in an earlier deposition for the case, which he claims wiped his noggin and that's why he took credit for writing "Blurred Lines" even though it was TOTALLY Pharell's doing. He's much better at singing on the stand than speaking on the stand, because "I was definitely toasted out of my mind" does not a good defense make. It pains me to ever be on Robin Thicke's side, but I have to concede that he has a point: can't we admit that no ideas are original? That everything is remixed, reused, and recycled? That all art is derivative? Perhaps deep in that creepy brain that wrote Paula there also a nugget of eternal wisdom.